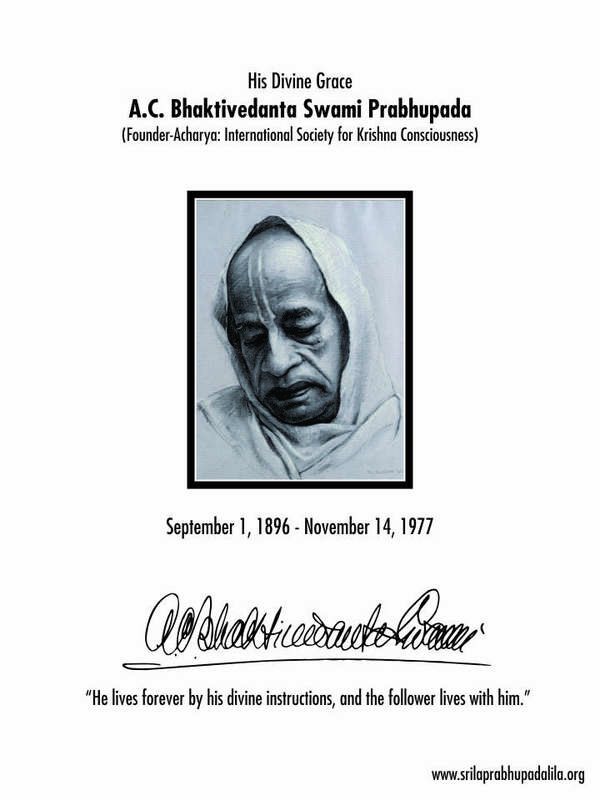 Around the turn of the century, the great spiritual master Srila Bhaktivinoda Thakura made this prediction: “Soon there will appear a personality who will preach the holy name of Hari [Lord Krishna] all over the world.” That personality was His Divine Grace A.C. Bhaktivedanta Swami Prabhupada. 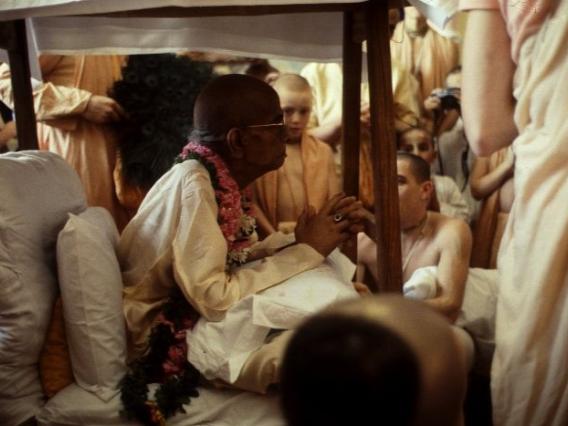 Throughout his life, Srila Prabhupada prepared himself for his great mission, and from his arrival in America on September 18, 1965, to his passing on November 14, 1977—through some seventy books and thousands of letters, interviews, and lectures-he gave the world the holy names of Krishna and the Vedic science of self-realization. 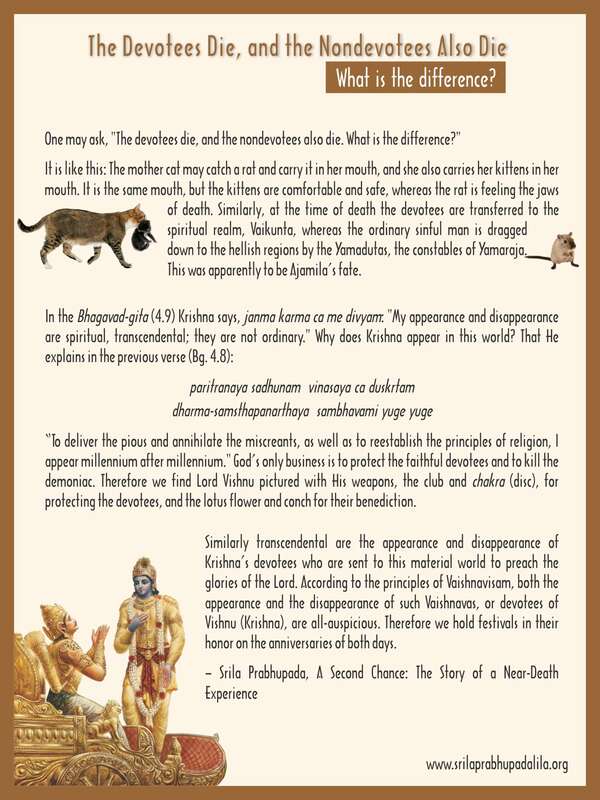 The Devotees Die, and the Nondevotees Also Die. What is the Difference?